I booked my slot and turned up. I am disabled and Grant helped me out with everything I needed to be electrically self sufficient in my van. All at anextraordinarily cheap price. A good range of new and secondhand units to suit everyones budget. Great place. Great people. Will recommend to everyone. Prices include powder coated extruded aluminium frame, Manifold, clamps, tubes, fittings and heat transfer paste. 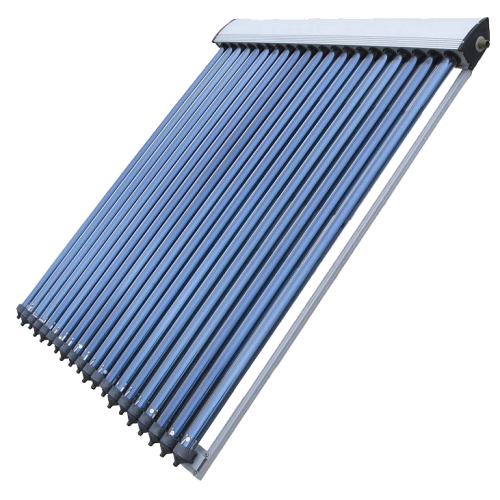 These are “Consol UK” Brand of solar thermal collectors. We are able to offer a 10 year guarantee on their equipment. The guarantee is handled by our uk supplier so there would be no delay in getting any problems solved. The solar collectors use the latest technology and have been tested by SPF in Switzerland The factory has been granted a SOLAR KEYMARK certificate which means that the factory is re-tested each year to make sure that they are maintaining standards. Peace of mind for quality! They use extruded aluminium for the manifold box and for the frame. We have these powder - coated dark brown. This protects the aluminium from corrosion and in our opinion looks better on the roof. (We do not like the cheaper shiny uncoated ones that are available elsewhere). The frame is held together with clamps; these are not the lightweight ones normally used but good heavyweight ones with nut catchers on the underside so that assembly only needs one spanner. The vertical runners can be set at whatever pitch suits so that they will always match up with your roof trusses. These are the choice of professionals. They are a quality item coming from a factory that we have personal contacts with. You are not buying from a company that has made its name from making boilers or insulation and have no idea where the equipment that they brand as theirs comes from, you are buying from someone who deals in solar water heater, and only solar water heaters! Multiple kits to one address £65 for the first and then £30 for each additional kit . Discount available for mixed orders of 10 or more kits/collectors. All deliveries are made by our suppliers own transport to avoid damage. All vans carry spare tubes and the boxes are opened and checked for breakages when they are delivered. Any broken tubes are replaced before the driver leaves. The drivers schedule allows time for him to run through the installation and give advice on fitting and assembly if required. Please Ask!